Mental Illness (Major Depression, Bipolar Disorder, Schizophrenia, Anxiety Disorders) – Recovery Now, Inc.
No one would discourage you from receiving help for cancer. Mental Illness is an illness that requires treatment. and understand how to face your illness. Are you wondering if you or your loved one is suffering from a mental illness? We provide education, support and resource information for family members in order to make this determination. Do you require the assistance of an Interventionist to motivate your loved one to change? If a loved one’s mood, thoughts or behavior is leaving you feeling overwhelmed, please seek a consultation. Our services will provide support and understanding how to assist your loved one with their mental illness and improve your own self-care. We also provide ADHD Coaching to assist adults and children with achieving success. 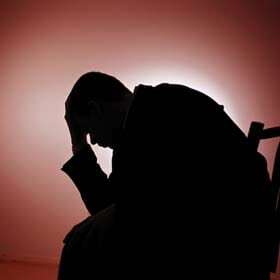 There are a number of factors affecting an individual’s mental health. One does not choose to have a mental illness, a mental illness chooses him or her. Some mental illnesses have a genetic link and may manifest between childhood years and early 30’s. Other mental conditions, such as ADD/ADHD may be evident in the pre-school years, but are often missed until adulthood after an individual has struggled throughout most of his/her life. A mental health diagnosis can happen at any point in one’s life. No one is immune from mental illness. You see, everyone has a breaking point at which a number of significant stressors may compromise their mental health. If you are struggling to make sense of a change in mood, thoughts and behavior, you should seek an evaluation. Have you been diagnosed with a mental illness or wondering if you’re suffering from a mental illness? Whatever the case, the challenges of life complicated by mental illness can be devastating. Learning how to manage or recover from a mental illness is a process requiring a Therapist with knowledge and experience working with individuals in this situation. Psychotherapy, ADHD Coaching, Hypnotherapy, Art Therapy or Dialectical Behavior Therapy allows for a unique understanding of the challenges you face. Life can improve when you know and understand how to face and mange the illness.